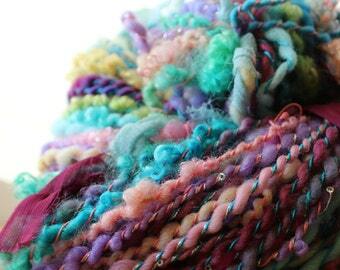 I absolutely love the coloring of this hand-spun yarn. Also came with an extra mini skein. Looking forward to playing with this beautiful mix. Loved the added goodies that the shop owner stuck in my package! Oh so beautiful! The pictures described the colors perfectly but not the softness! 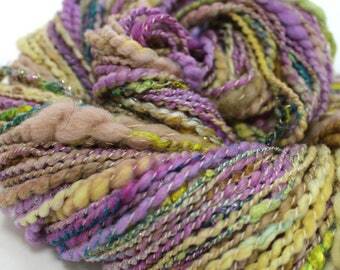 3 Art yarns have been added to the shop, more to come tomorrow! The sunshine really brings out the luster of silk! I've been over the moon that spring is here in NY! And the spring colors are just pouring out of my heart ! Fiber Art has no rules! 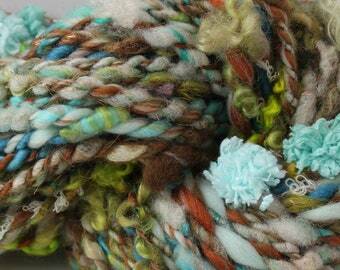 I'm a fiber artist and lover of all things wooly. My mother got me started on this squishy road to spinning yarn and all things fiber related. 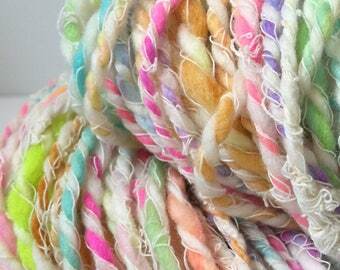 Ever since then my interests have deepened and developed into a full blown fiber love affair! I'm still learning every day and enjoying it all. 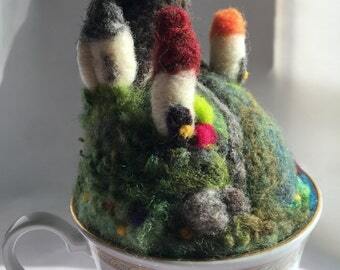 I dye fiber, card it, spin it, needle felt and weave with my own creations and I want to share my passion with fiber arts with the world. I’m not sure I have any real ‘Statement‘ on myself as an artist. What I can offer is this; for myself, art isn’t about the subject, but rather the feeling it invokes. I aim to create anything I can that makes me feel, inspires me to smile, reach out and touch, or make more. And as far as art goes, more is always better. Break every rule you can, and then YOUR art is born. I strive to have accurate color and specifications on each listing to avoid any disappointed customers but in the event that you need a refund because you are unhappy with my product I will supply a refund if you contact me and return the product in the same state you received it. Must be returned to me within 14 days. I will ship within 3-5 business days (Mon - Fri) of recieving payment via the direct payment option. If an exception occurs due to some force of nature or illness I will let you know by conversation and estimate when actual shipping will take place. I try not to let this happen but it has happened before so never say never, right? 📫I will use USPS First Class parcel post on most of my items. Multiple purchases will be shipped priority mail when it saves on cost. Bulky items will also use Priority Mail Flat Rate shipping. 📦If you need faster shipping or would like to request insurance or signature authentication on any of your packages, please tell me before your purchase and I will set up a reserved listing for you with these needs met. 🗓I will ship within 2-5 business days (Mon - Fri) of recieving payment. If a delay occurs (weather, family emergencies or illness for example) I will notify my customers as soon as I know. I welcome custom orders! 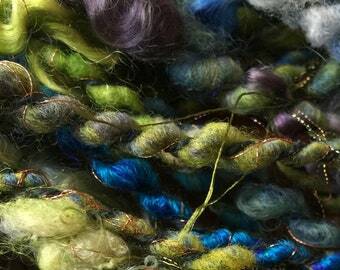 I can doOne custom Felt, One weave order per month and up to 4 fiber or yarn orders per month. Turn around time depends on the specifics of the order and will be designated upon each individual basis. I will notify you with details and probably pics too! 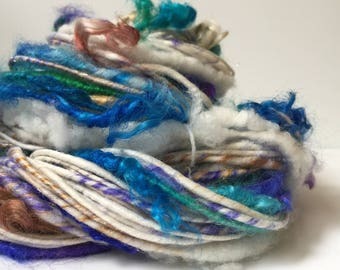 Feel free to make a fiber request!